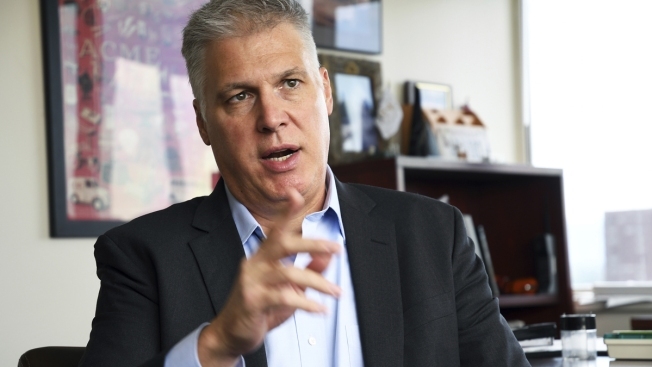 David Mueller's hiring comes as the #MeToo movement draws attention to sexual assault and harassment, but his new boss says, "this is not a referendum on sexual abuse or sexual assault"
In this Tuesday, Aug. 15, 2017, file photo, former radio host David Mueller, who was accused of groping singer Taylor Swift in 2013, speaks during an interview in Denver. Mueller, who was fired from his radio DJ job before a jury ruled in Swift's favor, has been hired by Delta Radio in Mississippi. The New York Daily News quotes Delta Radio CEO David Fuss as telling news outlets he believes David Mueller's side of the story and hired him because he sounds good on air. 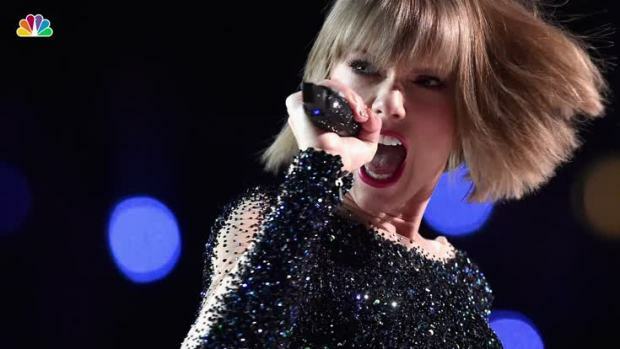 The radio DJ who groped music superstar Taylor Swift has a new job at a Mississippi radio station, a decision that the head of the station said has resulted in a "vile" reaction from Swift's fans, including a death threat and a bomb threat to the station. David Mueller started at KIX-92.7 on Monday, Delta Radio CEO Larry Fuss told NBC. Mueller, who uses the last name "Jackson" on air, is now a host of "Jackson and Jonbob." Fuss said there hasn't been any local blowback to hiring the man whom a federal jury determined had assaulted and battered Swift by grabbing her under her skirt as they posed for a photo. The case generated nationwide interest, with Swift seeking a symbolic $1 in damages, but Mueller still denies it. Fuss added that "the blowback from Taylor Swift fans worldwide though has been overwhelming and most of it is vile, vicious, venomous and profanity-laden, which really disappoints me." The response included a death threat and a bomb threat, Fuss said in a call early Wednesday morning, adding that they were being reported to authorities. The bomb threat was reported to the Greenwood, Mississippi, police about 9 a.m. CT Wednesday, and a subsequent check of the radio station turned up no threat, Chief Ray Moore said. He noted the incident is "under investigation because we take these very seriously in today's climate." Officers saw the email with the threat, Moore said. An FBI spokesman said in an email the bureau is "aware of the incident in Greenwood, and we are in contact with state and local authorities." Fuss said, "I can't imagine Taylor Swift condoning her fans acting like this. It's rather juvenile and irresponsible." A representative for Swift didn't respond to a request for comment. Mueller's hiring comes as the #MeToo movement draws attention to sexual assault and harassment. The New York Daily News first spoke to Fuss about hiring Mueller, reporting that he believed Mueller's version of the story. Fuss said Mueller sounds good on air, but allowed that his decision also was "maybe a tiny bit" about publicity. Asked about believing Mueller's side of the story over Swift's, Fuss told NBC, "I never sat down with her face to face" and that Mueller's "story is very compelling." He said he believes Swift's story has inconsistencies, and when asked why a jury would side with her, said "they could have been star struck." Fuss added, "This is not a referendum on sexual abuse or sexual assault. This is me, a small radio show station, giving a talented radio guy a second chance." A phone number listed for Mueller on the Delta Radio network's website did not connect.